Public education is under attack from several directions, especially in the increased movement on school voucher legislation. Proponents of voucher legislation argue that public education is failing its students and that the private sector could better educate these students. As superintendents, you must be vocal in opposition of these arguments. Public schools are not failing, and students are graduating from public schools at higher rates and taking more challenging coursework than ever before. This toolkit provides you with resources to make these arguments in your district. The toolkit is broken into three sections: one on the good news of public education, with facts and arguments to disprove the argument that public education is failing. The second section focuses on school voucher legislation and how to combat voucher legislation at the grassroots level. The third section focuses on the American Legislative Exchange Council (ALEC), which is feeding model voucher legislation to many of your states. Welcome letter from Dan Domenech, introducing the toolkit. View the full toolkit in a PDF here. 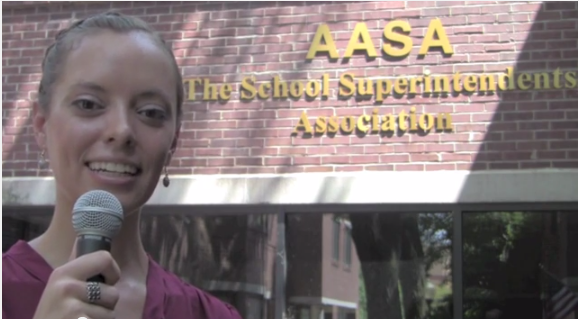 If you have questions or comments, contact Leslie Finnan at lfinnan@aasa.org. For ALEC-specific questions or comments, contact Francesca Duffy at fduffy@aasa.org.